Many of our fans knit or crochet for charity year-round, but the holiday season is an especially great time to remember those less fortunate. 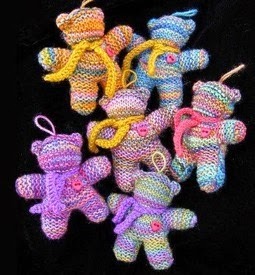 There are so many wonderful charities which accept handmade items for donation, and we recently donated Bamboo needles & hooks to the Mother Bear Project, a non-profit dedicated to providing comfort and hope to children affected by HIV/AIDS in emerging nations. 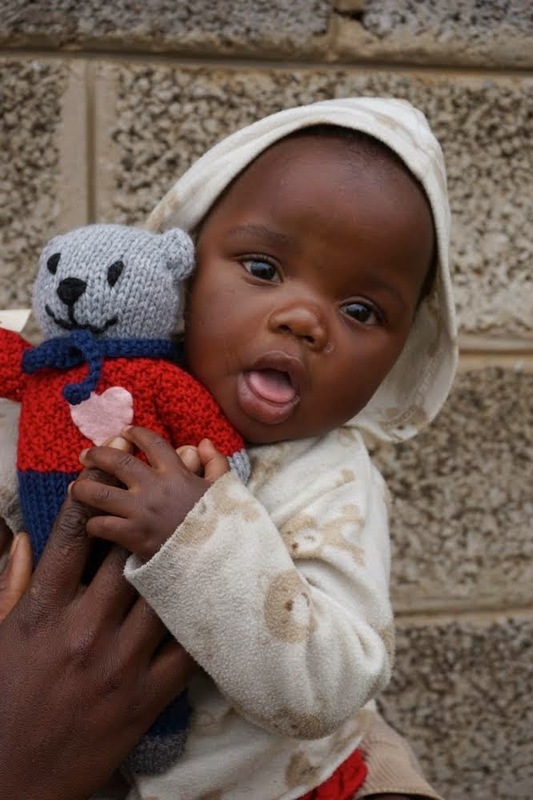 Mother Bear Project believes that the simple act of providing comfort to a child in the form of a bear can have a very large outcome; they have been knitting together people of all generations, abilities and faiths for nearly 12 years to provide bears to children unconditionally across Africa whose lives have been affected by HIV/AIDS. 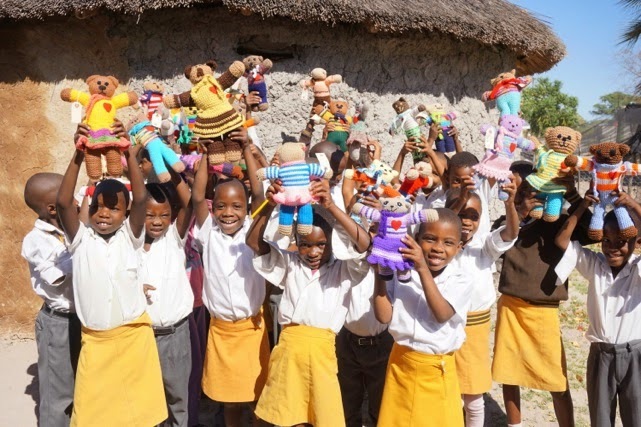 Founder Amy Berman of Minneapolis, MN recently returned from personally distributing over 2,500 bears in Botswana, Lesotho and South Africa - including the 100,000th bear! This very special bear was chosen to be the milestone bear because it was knit by an inspiring woman who just turned 100 years old. This holiday season, they are selling handmade bear ornaments which make excellent gifts - no assembly required. The proceeds from just one bear ornament will help ship 6 regular Mother Bears to Africa! Click here to find out how you can win a bear ornament of your very own by posting your Mother Bear project photos on Instagram! To get involved in this project, you can order a complete knitting or crochet kit (includes pattern, yarn for a bear, and crochet hook or needles) or you can simply order the knit or crochet pattern (flat or seamless) from their website, www.motherbearproject.org. Make a bear. Make a Difference. The folks at Mother Bear Project have generously donated two knitting kits to give away on our blog; to be eligible, simply leave a comment on this blog post telling us about your favorite yarn-related charity & why you'd like to knit a bear with one of these kits! Be sure to also include your Ravelry ID or email address so that we can contact you if you win. We'll randomly select two winning comments to announce on this blog on Friday, December 12. Good luck! Last but not least, it's time to announce the winner for our Nova Platina Interchangeable Starter Set Giveaway! Congratulations to Sleekymom; we will contact you via Ravelry to arrange for the delivery of your prize! 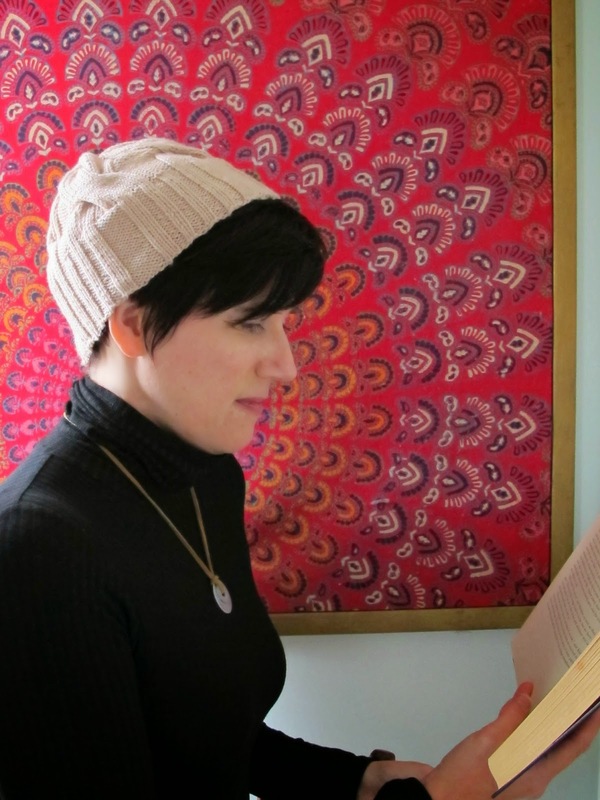 Today we're excited to have a guest post from knitwear designer Talitha Kuomi. Learn more about Talitha on her website talithakuomi.com, on Facebook, or find her on Ravelry as Talithakuomi. I was a painfully shy child who buried herself in bike rides and Nancy Drew books. Both were good ways to avoid the awkwardness of conversation and the pressure of direct eye contact. I found gazing from the sidelines so much less stressful than interacting. Eventually, it got lonely watching life rather than actually living. I began to choose to push myself into social situations and found that in exchange for enduring sweaty palms and knocking knees, I got the warmth of friendship and the rush of small daily adventures. Leaping ahead, I find it ironic that I wound up as one of the final 12 in the first season of The Fiber Factor. Honestly, I filled out the application because it scared me. It asked me to consider things I had no answers to. That challenged me. To questions like ‘what is your design philosophy?’, my gut reaction was, ‘my what?’. Later, when Josh Bennett asked me who I was as a designer, I tripped and stumbled trying to compose a clear answer. The whole competition felt like that to me, hitting the wall of not knowing how to respond over and over again. Having never seen a reality show of any kind, I was completely unprepared. But, if you ask me now why I design what I do and how that relates to my life, I can tell you. That was the real ‘win’ of the experience for me. I designed ‘Lind’ as a tribute to all the books that let me walk safely through their adventures before I was brave enough for adventures of my own. The extra wide cables require a little trick to make them work and the slight slouch at the crown keeps them dramatic. A little drama is a good thing. 1 skein Louet Gems Worsted (100% merino; 100 g = approx 175 yd) Color shown is ‘Champagne’. 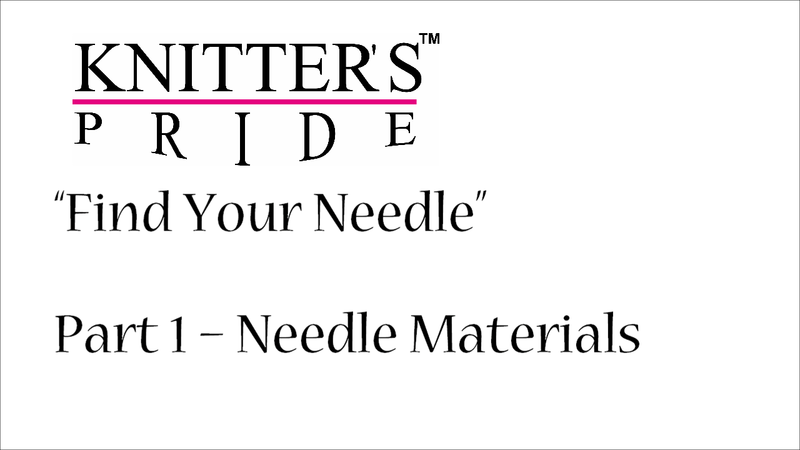 16” circular needle size US 4/3.5 mm or size needed to get gauge. 16” circular needle size US 7/4.5 mm or size needed to get gauge. One set double pointed needles size US 7/4.5 mm or size needed to get gauge. Shown in size XL on my 23.5” head. Hat is knit in the round from the brim up. Extra wide cables are knit with dropped yarn overs to keep them from puckering too much. Cables decrease in size at the crown making for a bit of intentional slouch at the top. Using smaller needles, CO 110 (120, 130) sts. Pm and join to knit in the round. Rib rnd: [P6, knit 3 (2, 3) sts, *p2, k2; rep from * two (three, three) more times, knit 1 (0, 1) st] rep between brackets to end (4 more times), sm. Rep Rib rnd, until pc meas approx 3”. Change to larger circular needles. Rnd 1: Rm, knit 11 (12, 13) sts, pm, *P6, knit 16 (18, 20) sts; rep from * to last 5 (6, 7) sts, knit to end, sm. Rnds 2-12: *P6, knit 16 (18, 20) sts; rep from * to end, sm. Rnd 13: *P6, slip 8 (9, 10) sts to cn, pull to front of work, yo, knit 8 (9, 10) sts, slip these 8 (9, 10) newly knit sts from RH to LH needle, drop the yo, slip these same 8 (9, 10) sts from LH needle to RH needle, yo, knit 8 (9, 10) from cn, slip these 8 (9, 10) newly knit sts from RH to LH needle, drop the yo, slip these same 8 (9, 10) sts from LH to RH needle; rep from * to end, sm. Rnds 14-20: *P6, knit 16 (18, 20) sts; rep from * to end, sm. Rnds 22-30: *P6, knit 14 (16, 18) sts; rep from * to end, sm. Rnd 31: *P6, slip 7 (8, 9) sts to cn, pull to front of work, yo, knit 7 (8, 9) sts, slip these 7 (8, 9) newly knit sts from RH to LH needle, drop the yo, slip these same 7 (8, 9) sts from LH needle to RH needle, yo, knit 7 (8, 9) from cn, slip these 7 (8, 9) newly knit sts from RH to LH needle, drop the yo, slip these same 7 (8, 9) sts from LH to RH needle; rep from * to end, sm. Rnd 32: *P6, knit 14 (16, 18); rep from * to end, sm. Rnd 33: *P2tog, p2, p2tog, knit 5 (6, 7), (k2tog) 2x, knit 5 (6, 7); rep from * to end, sm—80 (90, 100) sts rem. Rnd 34: *(P2tog) 2x, (k2tog) four (six, eight) times, knit 4 (2, 0) sts; rep from * to end, sm—50 sts rem. Rnd 35: *P2, (k3tog) 2x, k2tog; rep from * to end, sm—25 sts rem. Rnd 36: *P2tog, k3tog; rep from * to end, sm—10 sts rem. Cut yarn leaving a 12” tail. Thread tail through rem 10 sts. Pull snug and tie off. Weave in ends. Wet block the body of the hat to open up the cabling a bit, being careful not to over block the ribbed brim. 'Lind’ is Swedish for ‘winding’. Pattern and images © talithakuomi 2014 All rights reserved, used with permission. Pattern for personal, non-profit use only. 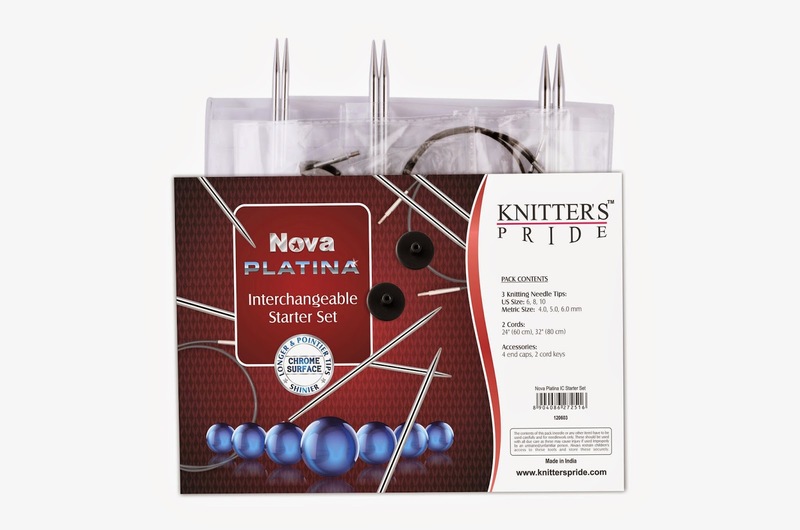 This month we're giving away a Nova Platina Interchangeable Set! To enter for your chance to win leave a comment on this post telling us which of Talitha's patterns you love best. Don't forget to leave your Ravelry ID so we can contact you if you're the winner. 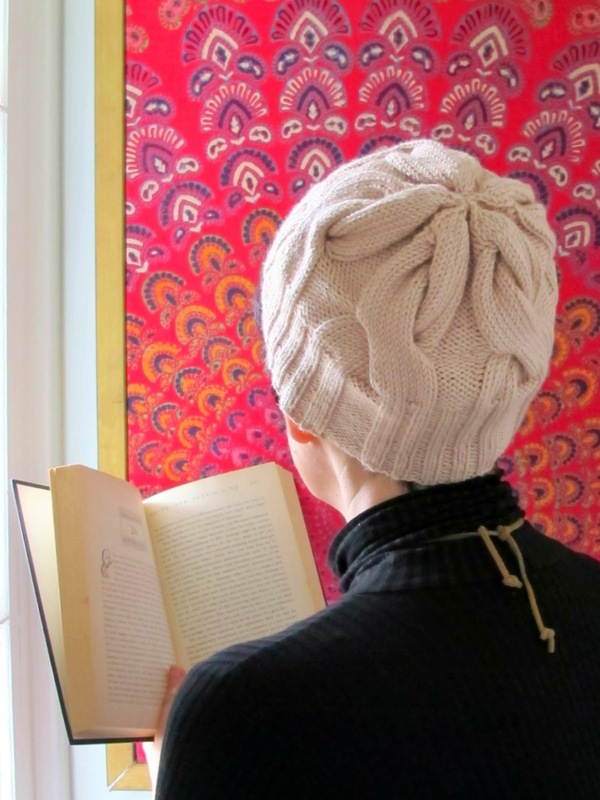 You can see all of Talitha's patterns on her Ravelry page.